Tue., Feb. 28, 2017, 8:08 a.m. 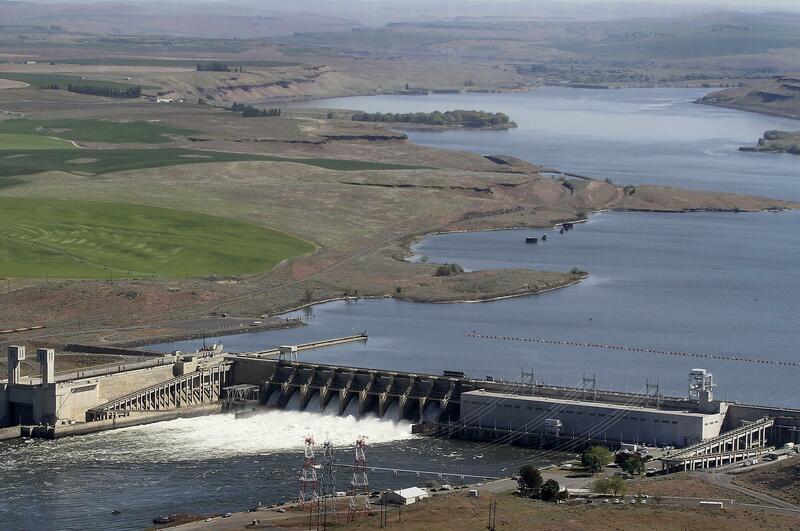 The levees along the Columbia River in the Tri-Cities and two nearby Snake River dams have been reclassified to indicate a lower risk to the public. The levee system, Ice Harbor Dam near Burbank and Lower Monumental Dam near Kahlotus each had their risk rating reduced from “moderate risk” to “low risk” by the Army Corps of Engineers. “This is good news, but the Corps cannot totally eliminate risk,” said Corps spokesman Bruce Henrickson. The only classification lower, “normal risk,” is given to very few dams and related structures. They typically would need to be have been recently constructed to meet contemporary standards. The dam rating system was started in 2007, and original ratings were based on the information available. Hurricane Katrina sparked the process. As more information is collected and planning done, the ratings have been periodically reviewed. The Tri-City levee system reclassification followed an in-depth analysis of the different ways it could fail, according to the Corps. The 16.8 miles of earthen levees were built between 1950 and 1954. The Lower Monumental Dam’s remaining risk is driven by the possibility of a significant earthquake or an extreme flood that would allow water to flow over the top of the dam. The dam began operating in 1969. Ice Harbor Dam’s remaining risk is for an extreme flood that would flow over the dam, according to the Corps. It has operated since 1961. “The Corps continues to take actions to reduce risk,” Henrickson said. A major revision of the emergency action plan for both dams is expected to be completed this year. Living near dams and levees comes with risk, said the Corps. Nearby residents should consider purchasing flood insurance and should be prepared to follow instructions from local emergency management officials. Published: Feb. 28, 2017, 8:08 a.m.